Located in southern England, Farnham is a town in Surrey’s Borough of Waverley. With a population of around 40,000 and good access to London, there’s a strong property market in the town. At My Home Move Conveyancing we’ve been developing our knowledge of local markets like this since 2001, enabling us to bring our clients in Farnham a specialist, fixed fee conveyancing service. If you’re thinking of buying or selling property in Farnham, you’ll need to instruct property lawyers to carry out the legal work for you. 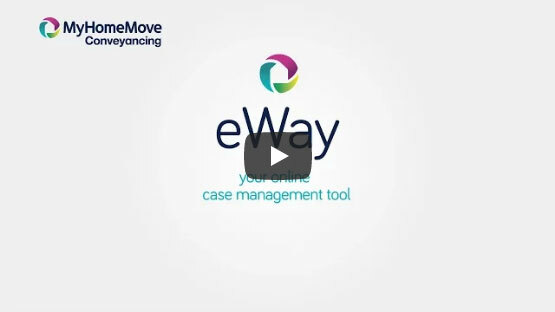 My Home Move Conveyancing can offer you award winning customer service, market-leading use of technology and intimate knowledge of the local market. Our service is fixed fee, so you’ll know exactly how much you’re going to pay from the beginning when you choose us to be your Farnham conveyancers. For even more peace of mind, you won’t have to pay us anything if you don’t end up completing. You’ll be assigned a dedicated conveyancer who’ll look after your case from start to finish, regularly providing clear updates on the progress. We get things right first time round, and we’re proud to supply our conveyancing services in Farnham to house hunters across the area, from those looking for something with good access to the town’s train station and bypass road, to spots out by Farnham Park and in neighbourhoods such as Lower Hale. The average house price in Surrey is £441,144, while in Farnham the average sale price over the past year was significantly higher than this at £542,914. Most sales in the area involved detached properties, which went for an average of £798,779. Semis sold for £444,787, and terraces for £347,788. Overlooked by the impressive Farnham Castle, there’s lots of history to explore in the local area, including Stone, Bronze and Iron Age settlements, as well as Roman occupation. The Saxons gave Farnham its name, before the town played a major part in the English Civil War which began in 1642. The modern town has been built on its success as a market town, while the close proximity to London is a major draw for potential homebuyers. There are excellent transport links to the capital, with trains to London Waterloo station taking just over 50 minutes. The A31 road bypasses the centre of Farnham, linking the town to Winchester in the southwest and Guildford to the east. The A331 heads north to the M3 motorway, which can be used to get to London and the M25. For when you’re jetting off, Heathrow Airport is less than 30 miles away from Farnham. If you’re looking for a good school to send your children to, there are some highly-rated choices to select from in the local area. Primary options include South Farnham School on Menin Way, Crondall Primary, St Polycarp’s Catholic Primary and Bentley CofE. All Hallows Catholic School, Weydon School and the Abbey School are among the secondary options, while Farnham College is part of Guildford College and provides further education facilities in the town. All properties in Farnham will fall within one of the following council tax bands.